It’s normal for parents to worry about their kids. However, in some cases, worrying gets out of control. According to experts, this is a form of anxiety, which is an over-expression of normal feelings and reactions like fear and avoiding risks. People feel anxious when they feel that something starts going wrong because of their anxiousness. Therefore, the first step to managing anxiety is accepting your anxieties. Don’t worry, it’s normal to feel stressed sometimes. When you’re in charge of the care of kids, you’ll naturally heighten your stress level. Keep in mind that the key here is to manage your anxiety, so don’t stress so much on making it completely go away. 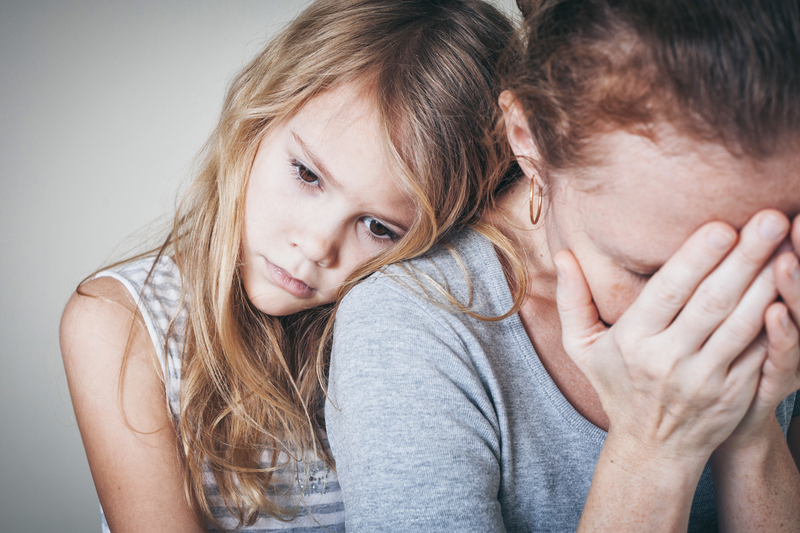 Reduce anxiety by not expecting too much from yourself or from your kids. Avoid saying ‘should’—I should or my children should—because then you’re setting expectations. The higher your expectations, the unhappier and more anxious you become when your expectations aren’t met. Social media can worsen your anxiety by making you feel that your kids are not living to people’s standards. You can’t avoid comparing when all you can see in your social media are proud parents posting photos of their kids’ achievements. Instead of wasting time scrolling through your feed, spend more time with your children. It’s hard not to feel guilty when you’ve scolded your children. However, learning to forgive yourself will help you manage your anxiousness better. If you do not take the actions to intentionally hurt your kids, then there’s no need to feel guilty. If you mean well and did not intend to cause pain to your children, ask yourself what you’ve learned from this, and then move on. This can serve as a mantra to anxious parents. While it is your job to guide your children, it won’t help your child grow if you eliminate their right to do the things they want to do. The best you can do to empower your kids’ sense of responsibility is to let them learn from natural consequences of their actions, whether right or wrong. We all worry about our children and wish to always protect them from disappointments and life struggles. But you’ll feel a lot calmer when you remind yourself that insisting what seems impossible only increases your anxiety. You’ll be able to function better and your children to enjoy their childhood if you relax and let life unfold as they are.